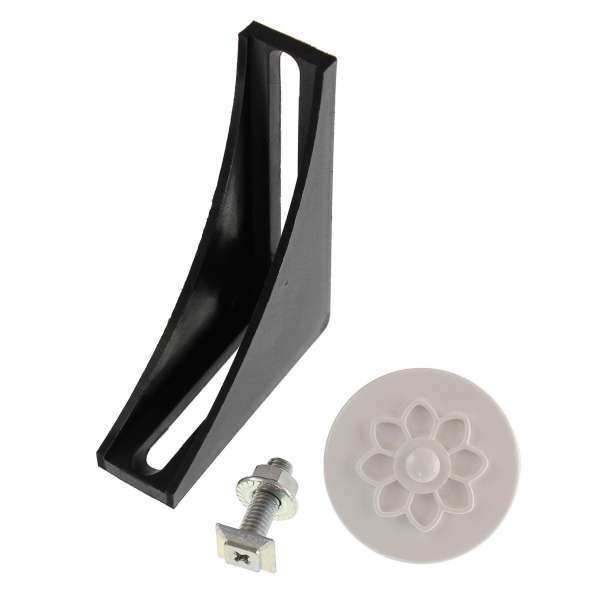 Product information "Ultraframe Internal Radius End Fixing Kit"
Plastic L-shaped 'slide-fit' bracket with recognisable roselock fixing button and bolt. Designed for quick and easy fixing of Radius End Capping to Ultraframe Classic conservatory roof. Fit the L-shaped Radius End Undercladding Bracket to the underside of the radius end. Offer up the Internal Radius End Capping to check the position of the bracket before tightening. Remove central plastic rivet from Roselock Fixing Button. With the Internal Radius End Capping in place, insert the Roselock Fixing Button and tap in the plastic rivet to secure. You may want to check the fit of the Internal Ridge Cladding prior to fitting the Internal Radius End Capping. Related links to "Ultraframe Internal Radius End Fixing Kit"
Customer review for "Ultraframe Internal Radius End Fixing Kit"